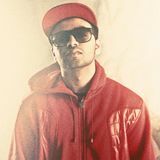 Is An Indian (Englih,Hindi) Rapper/ Lyricist, Music Producer and a Graphic Artist. He Is Known For His Amusing Flow. Has Delectability For English/Hindi Rapping And Is Dedicated To The Genre &apos;Desi Hip-Hop&apos;. He Got Into Music Through His Parents&apos; Classic Bollywood collection. But, His Love For Hip Hop Started, Back In year 2002, When He Was Just A Little School Going Kid, He Got So Influenced By HIP HOP Culture. He Began Writing Lyrics, Banging Out Drum Patterns On Classroom&apos;s Desk and Followed The Music Of Many Artists Popular At The Time. Roopansh Sharma Is Not Your Any Other Rapper From The Block. He’s A Singer, Writer, Music Producer And A Performer. He Is One Of The Most Talented And Calm Rapper In India. When He Started Rapping In 2009 He Suddenly Topped All The Charts In Underground Hip Hop Circle Of Delhi.